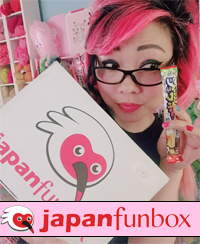 ← Yummy Bento Box Giveaway at LaCarmina’s blog! Surprise! My Michaels.com March pattern is up a little early! A super colorful Jelly Bean Scarf! Edit, June 4, 2014: Please find the pattern here on my blog. Michaels.com is currently re-vamping their pattern/project section, and the above Michaels.com link is disabled for now. This month’s theme is Easter! As you’ll see from the project description, I was rolling some ideas around in my head, but I also asked my Twitter followers what they would like to see. Someone suggested a project involving jelly beans, and I really loved it! Once you get the pattern down, this project works up super quickly, and it’s fun to play with different color combos! I have some colors already picked out for more jelly bean scarves. I was hoping to finish them so I could post more pictures along with this pattern, but I didn’t want to make you guys wait! If you yarn with other colors only slightly adding in you can make them look like jelly belly jelly beans! There isn’t any green beans? There was a lime green one in there somewhere! Is it the same as the Jelly Belly Factory, I wonder! SHUT UP!!!!! YAAAAAAAAAAY! Weekend Project – I cant wait to buy yarn! Thank you!!! I thought this as well!!! 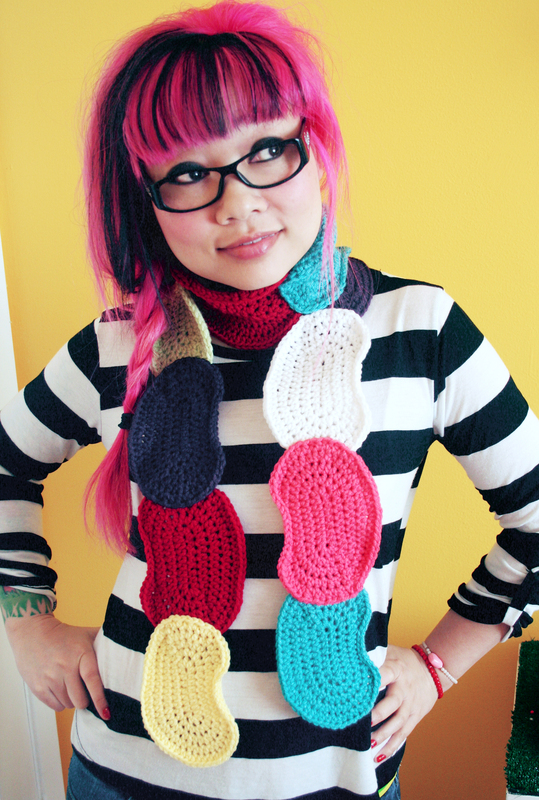 I keep meaning to do a mixed/bulk candy scarf, but there’s always that pesky TIME thing….! Omg I am so happy! Ty for this pattern it is amazing like all you do and I can’t wait to make it! Aw! Link me photos if you make it! I need advice please. I am a beginner of sorts. I got on youtube and learned to do a hdc. I have made 2 beans today. They look great right up to row 4 the part of 1 hdc, 1 sc, 8 sl st, etc I get completely lost. No matter how I do things my Jelly Bean curve is off center. I count and count and pull it out and do it over until my yarn is ragged. I’m soooo confused. Hi! It’s hard for me to help without a photo. Can you take a photo and post the link? Thank you for wanting to help me. I can take a picture and I know how to load them into the computer. But I don’t know about linking to show you 🙁 My daughter said she will do it when she comes over this weekend. My daughter didn’t come to post pic. I’m just going to keep trying! Should that be [2 hdc in next stitch, 1 hdc in next 3 stitches] 2 times? That would make sense since those are the stitches on the other side of the oval. Thanks in advance for your help. 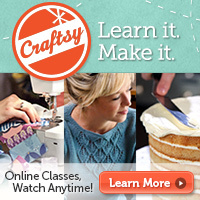 Thank you for responding so quickly…now I can get right back to stitching! Hi! I’m having a problem with round 4 and 5. The jellybean keeps coming out uneven and odd looking . I tried redoing it 3 times and always comes out the same. Is something wrong with the instructions or is it me? Gonna keep trying my best.